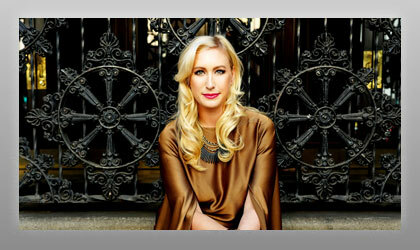 Emme Lentino is a singer-songwriter who creates Pop Rock, Soul and Americana music. Originally from Oregon, Emme has spent time in Seattle, New York and California before settling in New Zealand. Her songs have been featured in a variety of daytime television shows such as ABC's One Life To Live and All My Children. While performing in a successful off-Broadway production, she collaborated with DJ/producer Vasili Gavre, where they composed, recorded and performed a song that was included in the Victoria Secret's national BIOFIT campaign. Emme's latest recordings evoke a deep personal and emotional musical journey that is authentic, as it is passionate and powerful, as her vocals have drawn comparisons to Natalie Merchant and Norah Jones. Her singles”Oxygen” and "Better Than Gold” have tallied airplay in the U.S., UK, Australia, Germany, Ireland, South America, India and China.